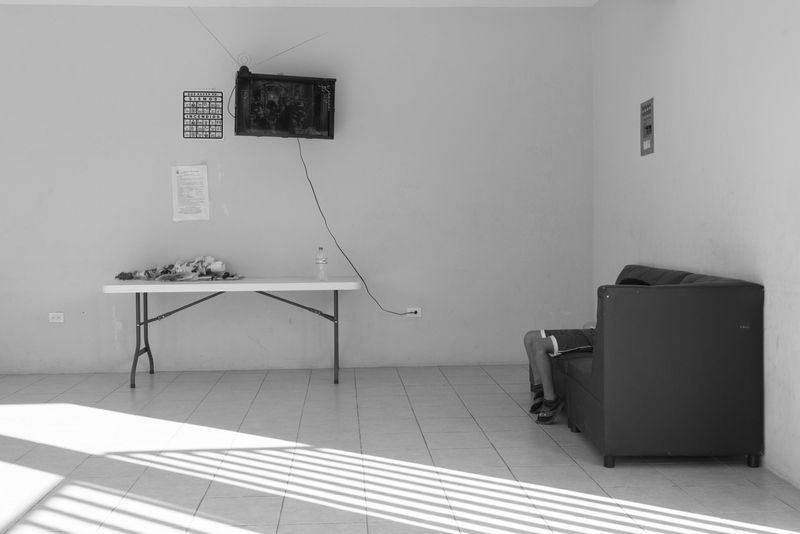 A seven-year-old boy watches television at a refuge for families seeking asylum in Tapachula, Chiapas. The television has only two channels and there are few toys at the shelter. His family fled El Salvador after gang members threatened to kill his eldest brother for witnessing another teenager's murder.